Taken with Olympus E500 digital camera September 8th 2007. Click image for larger view. As you can see in this photo, summer has not completely left northern Norway. 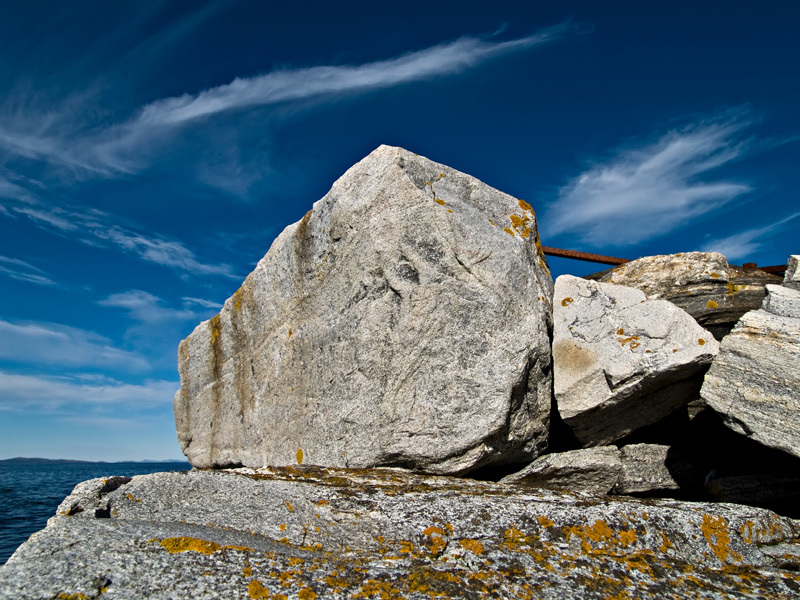 These rocks are part of an old seawall that protects our boats against the wild storms that can hit northern Norway in the autumn and winter. You can see the seawall with waves beating against (and over) it in this photo and in this photo with more calm weather. Love the blue sky; it sets off the stone nicely. It’s good to see the sea wall in the different weather situations too. Great stuff. well summer hasn’t dissapeared here yet either lol. winter will be very very cold. sweet pic man ! Nice shot. Beautiful blue sky.